A deathbed conversion is the adoption of a particular religious faith shortly before dying. Making a conversion on one's deathbed may reflect an immediate change of belief, a desire to formalize longer-term beliefs, or a desire to complete a process of conversion already underway. Claims of the deathbed conversion of famous or influential figures have also been used in history as rhetorical devices. Conversions at the point of death have a long history. The first recorded deathbed conversion appears in the Gospel of Luke where the good thief, crucified beside Jesus, expresses belief in Christ. Jesus accepts his conversion, saying “Today you shall be with Me in Paradise". Perhaps the most momentous conversion in Western history was that of Constantine I, Roman Emperor and later proclaimed a Christian Saint by the Eastern Orthodox Church. While his belief in Christianity occurred long before his death, it was only on his deathbed that he was baptised, in 337. While traditional sources disagree as to why this happened so late, modern historiography concludes that Constantine chose religious tolerance as an instrument to bolster his reign. Charles II of England reigned in a Protestant nation at a time of strong religious conflict. Though his sympathies were at least somewhat with the Catholic faith, he ruled as an Anglican, though he attempted to lessen the persecution and legal penalties affecting non-Anglicans in England, notably through the Royal Declaration of Indulgence. As he lay dying following a stroke, released of the political need, he was received into the Catholic Church. The most famous French fabulist published a revised edition of his greatest work, Contes, in 1692, the same year that he began to suffer a severe illness. Under such circumstances, Jean de La Fontaine turned to religion. A young priest, M. Poucet, tried to persuade him about the impropriety of the Contes, and it is said that the destruction of a new play of some merit was demanded and submitted to as a proof of repentance. La Fontaine received the Viaticum, and the following years, he continued to write poems and fables. He died in 1695. Sir Allan Napier MacNab, Canadian political leader, died 8 August 1862 in Hamilton, Ontario. His deathbed conversion to Catholicism caused a furor in the press in the following days. The Toronto Globe and the Hamilton Spectator expressed strong doubts about the conversion, and the Anglican rector of Christ Church in Hamilton declared that MacNab died a Protestant. MacNab's Catholic baptism is recorded at St. Mary's Cathedral in Hamilton, performed by John, Bishop of Hamilton, on 7 August 1862. Lending credibility to this conversion, MacNab's second wife, who predeceased him, was Catholic, and their two daughters were raised as Catholics. Author and wit Oscar Wilde converted to Catholicism during his final illness. Robert Ross gave a clear and unambiguous account: ‘When I went for the priest to come to his death-bed he was quite conscious and raised his hand in response to questions and satisfied the priest, Father Cuthbert Dunne of the Passionists. It was the morning before he died and for about three hours he understood what was going on (and knew I had come from the South in response to a telegram) that he was given the last sacrament. The Passionist house in Avenue Hoche, has a house journal which contains a record, written by Dunne, of his having received Wilde into full communion with the Church. While Wilde's conversion may have come as a surprise, he had long maintained an interest in the Catholic Church, having met with Pope Pius IX in 1877 and describing the Roman Catholic Church as "for saints and sinners alone – for respectable people, the Anglican Church will do". However, how much of a believer in all the tenets of Catholicism Wilde ever was is arguable: in particular, against Ross's insistence on the truth of Catholicism: "No, Robbie, it isn't true." "My position is curious," Wilde epigrammatised, "I am not a Catholic: I am simply a violent Papist." The poet Wallace Stevens is said to have been baptized a Catholic during his last days suffering from stomach cancer. This account is disputed, particularly by Stevens's daughter, Holly, and critic, Helen Vendler, who, in a letter to James Wm. Chichetto, thought Fr. Arthur Hanley was "forgetful" since "he was interviewed twenty years after Stevens' death." In his response, Chichetto noted that Vendler ignored "the testimony of Dr. Edward Sennett (in charge of the Radiology Dept. at St. Francis Hospital when Stevens was admitted both times) and the Sisters with whom he [Chichetto] talked in 1977 (and later) who believed Fr. Hanley's account." After Charles Darwin died, rumours spread that he had converted to Christianity on his deathbed. His children denied this occurred. 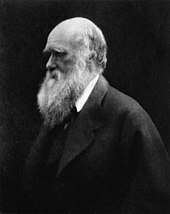 One famous example is Charles Darwin's deathbed conversion in which it was claimed by Lady Hope that Darwin said: "How I wish I had not expressed my theory of evolution as I have done." He went on to say that he would like her to gather a congregation since he "would like to speak to them of Christ Jesus and His salvation, being in a state where he was eagerly savoring the heavenly anticipation of bliss." Lady Hope's story was printed in the Boston Watchman Examiner. The story spread, and the claims were republished as late as October 1955 in the Reformation Review and in the Monthly Record of the Free Church of Scotland in February 1957. Lady Hope's story is not supported by Darwin's children. Darwin's son Francis Darwin accused her of lying, saying that "Lady Hope's account of my father's views on religion is quite untrue. I have publicly accused her of falsehood, but have not seen any reply." Darwin's daughter Henrietta Litchfield also called the story a fabrication, saying "I was present at his deathbed. Lady Hope was not present during his last illness, or any illness. I believe he never even saw her, but in any case she had no influence over him in any department of thought or belief. He never recanted any of his scientific views, either then or earlier. We think the story of his conversion was fabricated in the U.S.A. The whole story has no foundation whatever." ^ Hutton, Ronald (1989). Charles II: King of England, Scotland, and Ireland. Oxford University Press. pp. 443, 456. ISBN 0-19-822911-9. ^ "Jean de La Fontaine Biography - Infos - Art Market". www.jean-delafontaine.com. ^ Sante De Sanctis (1999). Religious Conversion: A Bio-psychological Study. Psychology Press. ISBN 978-0-415-21111-6. ^ King, Nelson (5 August 2009). "Alan Napier MacNab". Soldier, Statesman, and Freemason Part 3. Archived from the original on 6 July 2011. Retrieved 4 January 2010. ^ "The Vatican wakes up to the wisdom of Oscar Wilde". independent.co.uk. ^ J. Killeen (20 October 2005). The Faiths of Oscar Wilde: Catholicism, Folklore and Ireland. Palgrave Macmillan UK. ISBN 978-0-230-50355-7. ^ Pendergast, Martin (17 July 2009). "The Catholic church learns to love Oscar Wilde - Martin Pendergast". the Guardian. ^ McQueen, Joseph (1 December 2017). "Oscar Wilde's Catholic Aesthetics in a Secular Age". SEL: Studies in English Literature 1500–1900. 57 (4): 865–886. doi:10.1353/sel.2017.0038 – via Project MUSE. ^ Taylor, Jerome (17 July 2009). "The Vatican wakes up to the wisdom of Oscar Wilde – Europe, World". London: The Independent. Retrieved 15 November 2009. ^ "Oscar Wilde: The Final Scene". Retrieved 4 December 2008. ^ McCracken, Andrew. "The Long Conversion of Oscar Wilde". Retrieved 4 December 2008. ^ Nicholas Frankel (16 October 2017). Oscar Wilde: The Unrepentant Years. Harvard University Press. ISBN 978-0-674-98202-4. ^ Maria J. Cirurgião, “Last Farewell and First Fruits: The Story of a Modern Poet.” Lay Witness (June 2000). ^ Archives of the Holy Cross Fathers (Eastern Province) (AHCFE), North Easton, Massachusetts, 02356. Helen Vendler's letter (dated 8/28/09): "Dear Father Chichetto: I am sorry to have annoyed you by my putting of quotes around the word 'baptism.' I simply wanted to indicate by the quotation marks my skepticism about the fact. Of course, I did find something 'arwy' in Father Hanley's account, but I have never accused Father Hanley of prevarication, only of forgetfulness. I believe he believed that things happened as he said, but he was interviewed twenty years after Stevens' death. Of course I credit the first part of Father Hanley's story concerning conversations with Stevens during Stevens' first day in the hospital between 26 April and 11 May. He returned to the hospital with disseminated cancer in July, and Father Hanley says that the baptism took place 'a few days before his death.' Stevens had not apparently requested baptism in April during his first stay in the hospital. Of course, I can imagine Stevens discussing religion with a priest who was attempting to convert him, but nothing in his poetry or prose suggests any wish to be a member of any church. It's therefore hard to believe Father Hanley's recollection. And it is harder to believe because there is no written record and no contemporaneous evidence. I can understand reasons why people might request that a baptism be kept private. Father Hanley does not describe any such request by Stevens, so the absence of a written record becomes more inexplicable. Father Hanley, in his long service, no doubt conseled, consoled, and baptized many dying people. It seems to me quite possible that he confused Stevens with someone else. Faulty memories are common in all of us, and it does not seem to me at all probable that Stevens would have requested baptism, have requested secrecy, or have responded with the cliche, 'Now I am in the fold.' Such language is inconsistent with Stevens' abhorrence of chiche. I do not impugn Father Hanley's veracity, only his memory. In the absence of any contemporary testimony and any recorded notice, I think that any biographer would agree that an unsupported recollection, voiced twenty years after the fact, cannot be taken as conclusive. There is nothing in Stevens' life and writing that makes a request on his part for baptism plausible or believable. It makes no difference to the writing, of course, which was in any case complete before Stevens' hospitalization. Yours truly, Helen Vendler"
^ AHCFE, Fr. Chichetto's letter (dated 9/2/09): "Dear Helen Vendler, I didn't expect you to agree with everything I put down in my letter to you. It is disturbing, however, when you ignore the testimony of Dr. Edward Sennett (in charge of the Radiology Dept. at St. Francis Hospital when Stevens was admitted both times ) and the Sisters with whom I talked in 1977 (and later) who believed Fr. Hanley's account. They never spoke of any kind of forgetfulness or memory loss on Fr. Hanley's part, whether noble (when one intentionally does not remember injuries, mischief, etc.) or unmeant (when one unintentionally cannot remember things owing to trauma, confusion or some other mental impairment). What provoked me NOT to visit Fr. Hanley in 1977 was their testimony that his account in 1955 was credible and that they believed Stevens was baptized. The Sisters had no reason to doubt Hanley's word, one of whom worked with him and knew him quite well. You seem to want to ignore that. Do you really believe they were ALL taken in by Fr. Hanley's 'forgetfulness,' by his 'mental impairment,' in 1977, when he was alive, retired, and in touch with them? (He lived only a half hour away from them!) Dr. Sennett was too sharp a person and knew the Sisters too well to believe they were being deluded and misled owing to Fr. Hanley's 'memory loss.' Also, in your response, you ignore the fact that a number of priests in the past refrained from recording (in nearby parishes and hospitals) the baptisms of certain dying people. I myself, for example, remember baptizing two people and leaving their baptisms unrecorded on two different occasions. That is, I baptized two people (unconditionally and absolutely), gave them Communion, and didn't record their baptisms in a nearby parish or at the hospital – for many reasons, not the least being that the dying person wanted no Catholic funeral and preferred that his/her 'reception' remain private (i.e., between himself/herself and God). I mentioned this in my first letter. Such private baptisms did occur in New England and elsewhere! (Today, of course, federal law and new legislation requires that some sort of record of a person's baptism be kept in the hospital as part of the deceased person's medical history. But that was not always the case in the past. And it is anyone's guess as to whether priests abide by those rules today; they pick and chose so freely.) Finally, to assume that because 'nothing in his [Stevens'] poetry or prose suggests any wish to be a member of any church' he therefore could never have requested a private baptism flies in the face of so many 'hour of death' accounts of the dying, many of whose private testimonies, disclosures, groundless terrors contradict the reckonings and calculations erected or founded on their earlier lives (and, in this case, the person's writings). The dying often believe for themselves; not for another person or for the sake of some book they wrote. Any person who has witnessed the dying also knows that they 'say' and disclose their sentiments (in words and gestures) better than the witnesses or those around them can, foolish cliches and all. In conclusion, I don't think this response to your letter will dissuade you from holding your own belief that Fr. Hanley was forgetful, etc. Indeed, reasoning further against your opinion in this matter would be like fighting against a shadow – all-consuming, exhausting without affecting the shadow. I also sincerely believe you can't change. As a critic, you have too much invested in your opinion. (One of my colleagues lent me her THE MUSIC OF WHAT HAPPENS to read. In that book you are quite adamant about Hanley on page 80.) However, based on Dr. Sennett's and the Sisters' propriety of feeling for Fr. Hanley and their belief that he was telling the truth in 1977 as he was in 1955, I do believe Stevens was baptized privately (though in academic journals his baptism will always be lightly condemned, censured, or laid aside as 'inconsistent' with his writings). I also believe that the baptism should never have been made public. Stevens was a great 'unnamer,' to quote Harold Bloom, and Fr. Hanley should have left his baptism unnamed, as it were, anonymous, like a 'blindness cleaned.' Sincerely, (Fr.) James Chichetto, C.S.C." ^ a b "The Lady Hope Story: A Widespread Falsehood". Stephenjaygould.org. Retrieved 15 November 2009. ^ "Lady Hope Story". Talkorigins.org. 23 February 1922. Retrieved 15 November 2009. Look up deathbed conversion in Wiktionary, the free dictionary.